The Eagles@GT is a club of Eagle scouts that have come to Georgia Tech but maintained a connection to the organization that taught them so much. Now this group is doing their service to scouting with a little help from the Georgia Tech Parents fund. The Eagles enlisted the help of a local assistant scout master to adapt the sustainability merit badge to the United Nations Sustainable Development Goals and make a captivating curriculum. They have hosted 2 sustainability seminars which not only give scouts a taste of the ideas behind sustainability, but also expose them to Georgia Tech and some of the sustainable solutions floating around the institute. So far, they have helped nearly 60 boys and girls with their Sustainability Merit Badges! 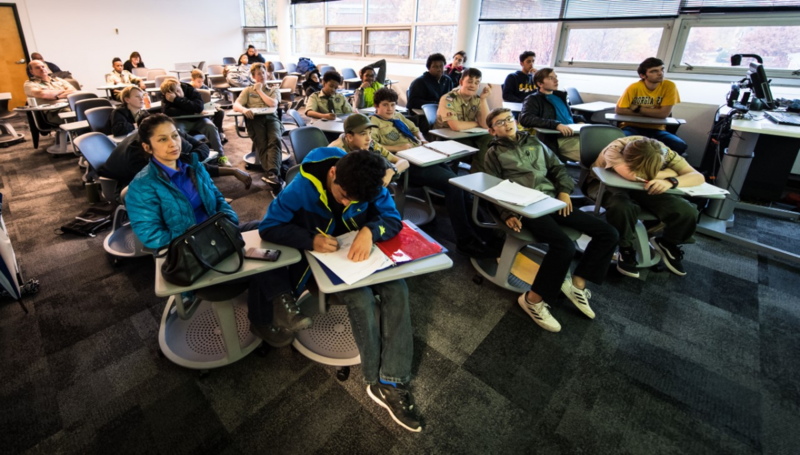 This spring, the Eagles will be hosting another seminar to check off the core merit badge requirements, followed by a tour of the Georgia Tech campus which will highlight sustainable infrastructure and practices. The spring merit badge day will be held on Saturdays March 30th.